An 18ct gold gents signet ring, having a cushion shaped head. Available in a wide variety of sizes. An 18ct yellow gold signet ring, set with sardonyx. Available in a wide variety of sizes. An 18ct yellow gold signet ring, set with slate-topped cornelian. Available in a wide variety of sizes. 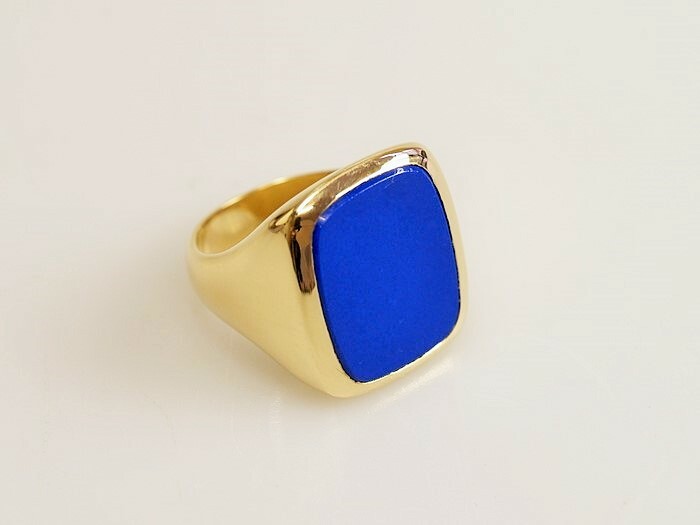 An 18ct yellow gold signet ring, set with lapis lazuli. Available in a wide variety of sizes. 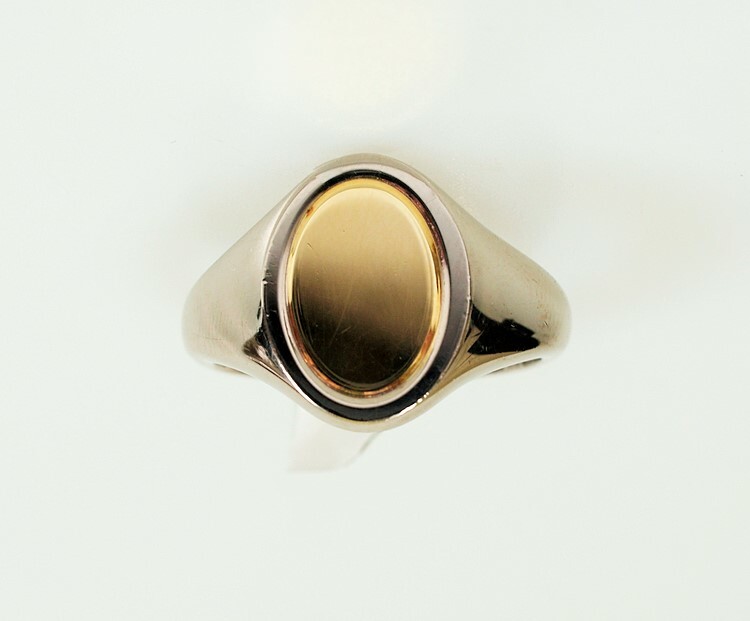 An 18ct white gold signet ring, with an inlaid yellow gold head.